1. What does the rent include? Your rental payment will include rent, cable television, high speed internet, water, sewer, and trash. The only utility we do not cover is electricity. The Edge will pay the electric company directly, and residents will reimburse the property meaning you do not have to set up any utilities in your own name! If you have roommates, the bills are divided evenly, so you do not have to worry about your roommate paying you for the utilities since every resident has their own account. Forced hot air for heating and central air for air conditioning do function using an electric component and will be included in your electric bill. 2. What is an individual lease? Individual leasing means each resident will sign their own lease agreement at Edge Merrimack River for one, two, and four bedroom apartments. If one of your roommates moves out of the community for any reason, you do not have to worry about having to cover their portion of rent. Each resident will qualify accordingly and have their own lease agreement. We do allow two people to sign a lease for a one bedroom apartment. 3. What are the amenities offered? We will offer a 4,300 sq. ft. fitness center, club house, game room, indoor bike storage and 14 study rooms! The community is controlled access meaning that the exterior doors are locked at all times and only residents have key fobs to enter the community. Guests must use the call box at the main entrance to be granted access to the property by the resident. 4. Is there a shuttle? Yes! Edge Merrimack River will have a shuttle that will take residents to and from campus during the week. The shuttle will start at approximately 7am and run until approximately 2:45pm. *Subject to change during finals week/school break. 5. Are the apartments furnished? Edge Merrimack River will furnish all apartments at the property. The living room area will include a sofa, coffee table, end table and media center with 50’ SMART TV. The bedrooms will include a bed frame, desk and desk chair, and dresser. The private bedroom floorplans will have a full size XL mattress and the shared bedroom floorplan will have a twin size XL mattress. All apartments also include the appliances such as a washer and dryer, refrigerator, dishwasher, stove, microwave, and garbage disposal. 6. Will The Edge have Community Assistants? Yes! Community Assistants are student workers who will live and work at Edge Merrimack River in our office and will serve as liaisons to the residents. They get to know their residents and plan programs that will help the residents learn and grow. Community Assistants serve as leaders who provide student residents with academic and social support and guidance. 7. How long is the lease term?  Edge Merrimack River offers one year lease terms with the option to renew your lease. 8. Is there a roommate matching service? When you sign your lease agreement, you will complete a roommate matching form where you can document who your roommates will be. If you do not have preferred roommates, you can use our roommate matching service where we will place you with the best possible roommate(s) based upon your roommate matching profile. 9. Can I request a specific apartment? You can express a preference to which apartment you would like. The earlier you sign your lease, the more options you have! We will try our best to accommodate all requests during placement. 10. What is a guarantor? Since most residents are full-time students, a guarantor will most likely be needed to qualify. A guarantor can be your parent, aunt, uncle, older sibling, etc. All residents are screened for a criminal background and your guarantor’s credit report will be screened based on our rental criteria. Guarantors must earn 3xs the monthly rental amount. Your guarantor is not needed in person to apply or to sign your lease; we can send the paperwork to guarantors electronically. Not everyone will need a guarantor, but some will if they do not have the income to qualify on their own. 11. Can I sign a lease without a guarantor? Yes, you can sign a lease agreement without a guarantor. If you plan to qualify on your own, you have to earn 3xs the monthly rental amount per month. You will also have to pass the criminal background and credit screening based upon our rental criteria. There are also other ways someone can qualify to live at the Edge Merrimack River. We take proof of bank statements, trust funds, income documentation, and in some cases financial aid. 12. What paperwork is required to secure a room/apartment at Edge Merrimack River? Since Edge Merrimack River offers individual leases, each resident is required to complete the rental application, roommate matching form, the lease agreement and a copy of a government issued I.D. Your guarantor will have to complete the guarantor application, guaranty agreement and a copy of a government issued I.D. Payment of upfront leasing fees also apply. 13. Does Edge Merrimack River allow pets? No, the Edge Merrimack River will not allow pets. 14. How do I pay my rent? We offer many different payment options for you to choose from. You can set up monthly ACH payments or pay rent by check or money order in the office. You can also make a credit/debit card payment online; however there is a convenience fee if you pay online using this method. 15. What if I need maintenance is my bedroom or apartment? Once you move in, you can submit a service request online or simply call the leasing office. If there is a maintenance emergency, we will provide an after-hours maintenance emergency phone number. 16. Can I smoke on property? No, the property is a non-smoking community.